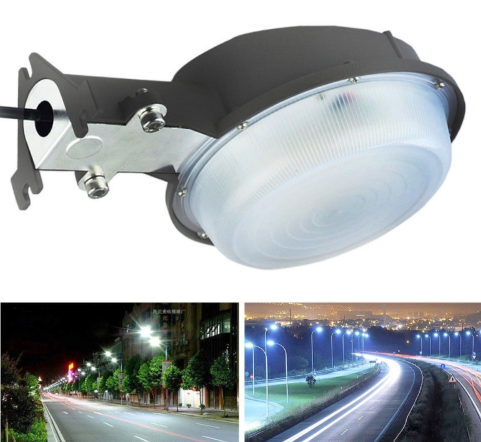 75W Outdoor Waterproof LED Street Lamp you will no longer worry about searching or walking in the darkness. Powered by solar energy, it firstly catches your attention by its great environmental protection and low power consumption. Works from 110V to 277V, This lED barn light is UL listed for dark sky compliance with brightness 7000 lumens by using only 70 watts. What is more, it supports human body sensing technology makes it more energy-efficient, light on when sensing motion, dim light when sension no motion. High-quality goods deserve reasonable price and wide attention!